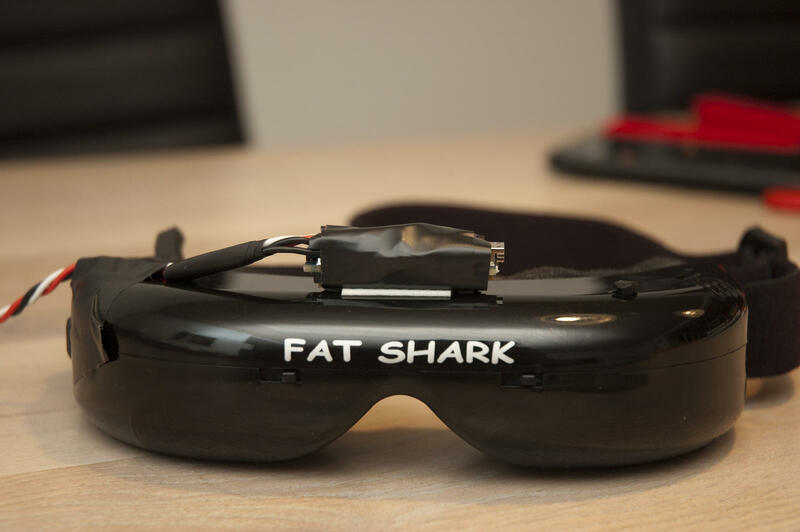 A couple of fellow FPV-friends complained about their headtrackers - mainly drift problems and bad resolution. One showed a video with the problem, and my comment "that looks really bad, even I can make that a lot better", ended up costing me a bit of time. I have choosen to use 3 axis- accelerometer, gyro and magnetometer, as that's the only way to account for drift in all directions. The hardware used is pretty simple, you just need an Arduino and a sensorboard. Perhaps this one is the same? The project is made as user-friendly as possible, and only little technical knowledge should be necessary. All necessary settings can be changed from a graphical user interface - making it easy for everyone to use. Early test-version. Plug-n-play in FF9 transmitter. A quick test-video can be found here. It's hard to show if a headtracker works well or not, so it's just a quick test-video. The sensors are sampled with 128 samples/sec. As we have 9 sensors, we get 128 * 9 = 1152 measurements/samples every second (more than plenty for a headtracker). The sampling-rate is controlled by timer0, that will set a flag high - indicating that the sensors should be read and new angles etc. calculated (timer0 running in CTC-mode, using compare-register A). While it should be possible to make all the calculations etc. within the interrupt, it's not recommended. A lot of heavy/slow calculations are done, and in case of timing-problems, we just want it to skip a sample and continue (should never happen, but just in case). The accelerometer data is converted to G-force. Not really necessary, but more convenient to work with. The total G-vector is calculated, and the angle calculated by using the total vector-length and the G-force in each direction. The gyro indicates the angular change in degrees/sec. All axes accounts for tilt etc and data is continously integrated, to give an estimation of the angle. The magnetometer is compensated for tilt (x- y-direction), and the final x and y values used to calculate the magnetic heading. The filter is a basic complementary filter, and an optional lowpass filter. The weight for gyro/accelerometer/magnetometer can be sat in the GUI, and lowpass filter changed. Please note that only PPM-out is activated as default. PPM-mixing etc. need some work. The PPM in/out is a bit tricky, as we can only do one thing at a time. Oh - and we only have one 16 bit timer available. Timer1 (16 bit timer) is used to generate the PPM output. It's set to change pin at interrupt to get an accurate hardware-timed pin-change. The compare-interrupt will set the next compare-match. PPM-in is detected by pin-change interrupt (higher priority than timer1 compare interrupt). It will use the time from timer1, and detect if the timer have been reset. The headtracker uses a lot of slow calculations with floating points, cos, sin atan etc. Furthermore the sampling frequency is pretty high. Using Serial.print is great for getting info, data etc. - but it requires time. As it's running "on the edge", you can only print a few characters without loosing a sample. It's programmed to just skip a sample in case of timing problems, but just be sure to note this when testing. But as all settings saved in EEPROM can be changed from GUI I'll suggest that, as it's a lot easier. The GUI have been changed quite a bit since first versions, and is hopefully pretty intuitive. The gain determines how much the servo should move for a given head-movement. Default is 170 which pretty much gives 1:1 (90 degrees head-movement = 90 degrees servo movement). Lowpass-filter of the final tilt/roll output. 1 = max lowpass/time constant. Will give very smooth, but also very slow change. Lowpass-filter of the final pan output. How much do we thrust the gyro compared to the accelerometer on the tilt/roll axis? Accelerometer is noisy and should only be used to slowly compensate for drift. 100 = only use gyro. How much do we thrust the gyro compared to the magnetometer on the pan-axis? The gyro is a lot more accurate, so magnetometer should only be used to slowly compensate drift. In short: Servo travel adjustment. Gain of the servo. You decide if you want to turn the head 10 degrees or 360 degrees to get full travel. used to inverse the servo direction. Can I use other Arduino versions? Sure, all Arduino boards should have the necessary pins available (as far as I know). 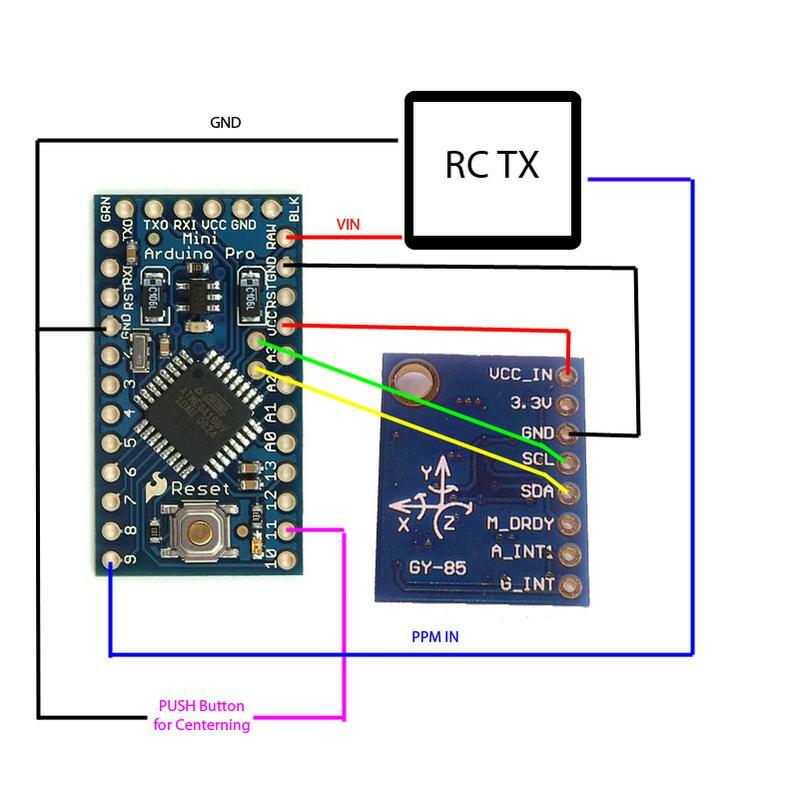 I have choosen Arduino Nano as it's cheap, small, have FTDI onboard and the regulator can handle a bit higher current, compared to Arduino Pro etc. But pick whatever you prefer/have available. Can I use other sensors? It should be pretty easy to use other sensors, as long as it's I2C. Update the sensor-init, sensor-reading and the sensor-configuration and you should more or less be good to go. I'll maybe add support for another IMU later. Can I buy a headtracker from you? No, it's meant as a DIY project. It's easy to make, and it should be pretty straight forward. I like to develope, but care little about sale etc. Feel free. I can imagine a few people would like to buy a nice ready-made unit, but it would be great to know if you use my software/work. But in general it's uploaded with no strings attached. It's uploaded as OpenSource, and I expect it to be used and abused - don't really see much sense in "protecting" my work. So feel free to use it for whatever purpose. First, lets assemble some hardware. It's pretty straight forward. The placement of the board is pretty much up to you. But please remember that the magnetometer is pretty sensitive. Even small currents nearby will cause a magnetic field. If it's a constant field, chances are you can calibrate it, but please be aware of this problem. The board can be placed on top of Arduino, on buttom, on the side or just where-ever you want by using long wires. The pins match pretty good, so you can just connect it directly. The only pin that doesn't match is ground. Quick pictures of the easy configuration. Please note that I haven't tested if the positions close to the electronic is a problem. Choose your preferred location and solder the sensorboard. Go to tools -> Serial port -> Select the com-port used by Arduino (you should remember the port-number for later use in the GUI). Press the left-arrow in Arduino IDE to upload, or select file -> Upload, or press Ctrl + u.
a while, and stop when the upload/programming is complete. Now let's start with calibrating the magnetometer. 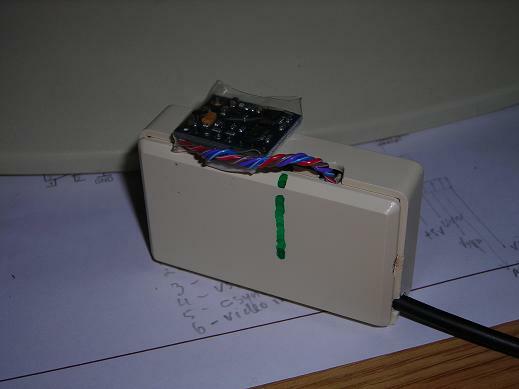 Open the file Magnetometer_cal_v0_02 included in the folder. - Set the com-port to match the one found/used in Arduino IDE. Press connect. If the program crash, you have must likely selected a wrong com-port or the com-port is used by another program such as Arduino IDE. - Press "Start plot" and you should see live-data being plotted. - Everytime you do a calibration, you have to press "Set offset to 0". - Now place the headtracker as shown on the pictures, and press "set" when the headtracker is on the position as shown. - Press "Save" to upload the offset-settings to the headtracker. Now find the file Headtracker_GUI_v0_04.exe in the file downloaded from google-code and open it. Set the com-port to match the one found/used in Arduino IDE. Press connect. If the program crash, you have must likely selected a wrong com-port or the com-port is used by another program such as Arduino IDE. Press the button "start plot". If everything works, you will see 3 live graphs with pan/tilt/roll. Set the necessary settings - remember to press "calibrate gyro". Hopefully that's it, and you are ready to go. The sensorboard must be orientated with the components up. Nothing in the GUI is "idiot proof". It will accept more or less everything and just do it. 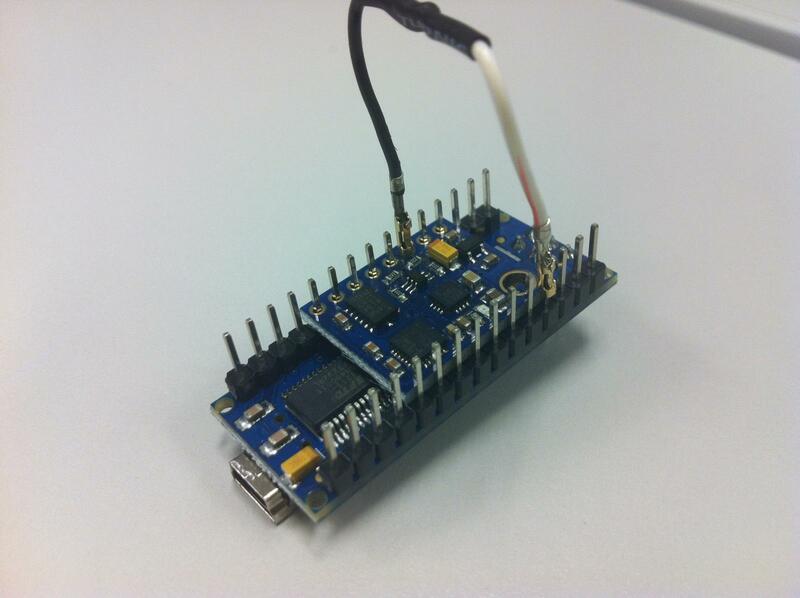 (If you look at the code) The sensorboard's magnetometer have 2 axis swapped. This is a hardware problem. Not anything to worry about, but the magnetometer z/y axis is swapped. Support for PPM-in etc. is not done. Only PPM-output is supported atm. Last edited by Dennis Frie; Oct 21, 2013 at 01:41 PM. One beta version is in the post in my way, a HT that don't drift i am on my way to heaven. Have been using TracR2 for 4-5 years and last flying day i may have hit the reset button 100 times. Yes, you should receive a test-version tomorrow. I'm pretty confident that you are not gonna hit the reset button even once on this tracker - but that's probably due to the fact, that it doesn't have one yet. Last edited by Dennis Frie; Jun 25, 2012 at 11:12 AM. I will test it yes, but i will never swing it in the cables, i want it to stay reliable with no broken wires or traces. I would like to test it also. Where is the sw? is it available to download? ..in a Johnny Cash voice. It would be great with a few to test it. Im open for ideas, improvements etc. 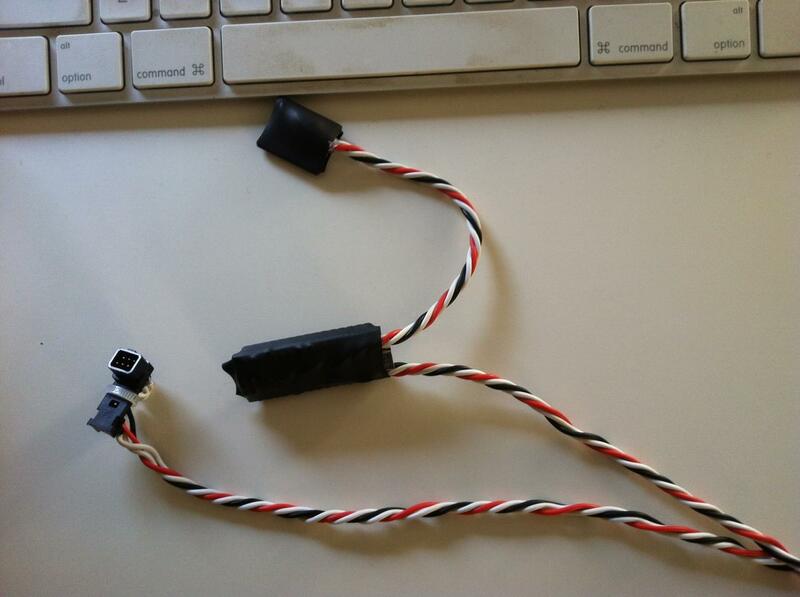 *Green wire to RC transmitter is only for later headtracker PPM in. wow, thats really great Dennis. 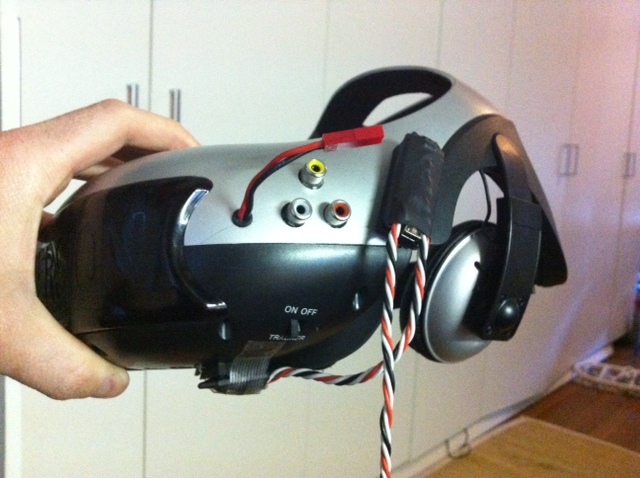 I am using the Flytron magnetic headtracker, works good with no drift. BUT, i have to always look to south or north, which is sometimes annoying. This one will solve all this problems. Year I've heart the headtracker from Flytron should work great - but the north/south is annoying. Hopefully this project will solve at least some of the problems. The first test-version is released, so time to get some feedback and fine-tune the tracker. I'll add another option in the GUI soon so you guys can test more or less all parameters if you want. Yes, the Flytron was the only headtracker, which works really good. I have already ordered the sensor board. For the Arduino, i will use a Pro Mini board. Are there no Pull-Ups needed for the SDA and SCK signal lines? The Wii project uses now 2,2k to 5V to have an stable I2C bus. I'll try to have a better schematic etc. ready before you receive the hardware, but it's pretty straight forward to connect.4 wires/connections to sensorboard and 3-4 wires to RC-transmitter. So far it have worked flawless without any extra pull-ups at the I2C bus. As the voltage is pretty clean from the RC transmitter, regulated by a 5-volt regulator on Arduino and afterwards a 3.3 volt regulator on the sensorboard, I doubt it will be necessary. Last edited by Dennis Frie; Jun 26, 2012 at 05:35 AM. Makes it just simpler to connect. 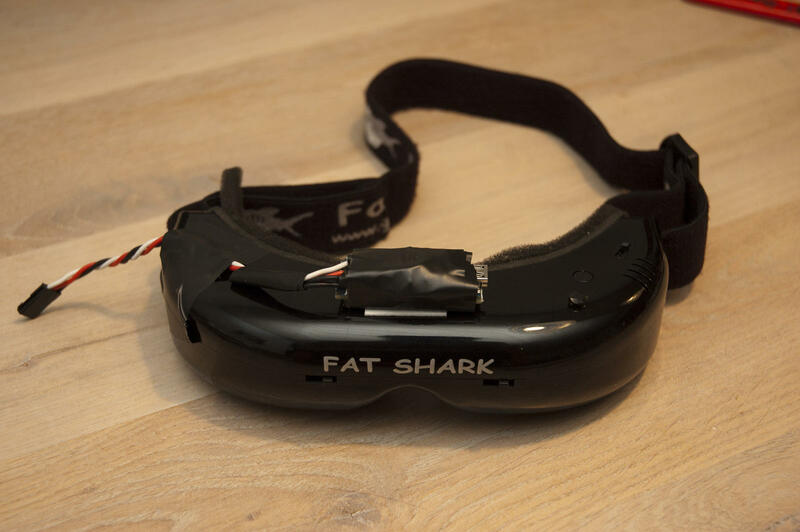 Will build everything on the top of my Cinemizer Plus goggles + a small receiver for video and audio, to have absolutely no cables between ground station and goggles and headtracker and radio transmitter.